Generally, this involves installing vented openings in cross-sectional area equal to 1/150 of the floor area served. 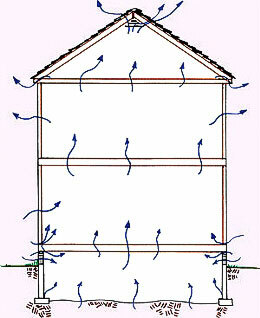 The theory is that air circulates through the crawl space to dry it and the humid air out. 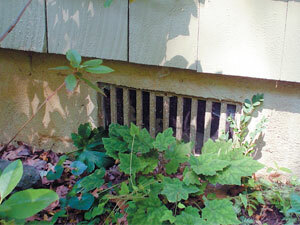 These crawl space vents are usually fitted with a covering -- usually a wooden or metal grating, or a mesh covering. The covering is sometimes installed to prevent infestations from rodents and animals, but they cannot prevent small insects such as termites, fleas and carpenter ants. Plus debris comes into the home through these open slats if not covered. Additionally, some misguided contractors claim that damp, humid air is heavier than dry air, causing all the moisture in the home to sink down into the crawl space. We all know and have felt (especially in summer months) how hot air rises as it heats up. In recent years, however, these codes are quickly changing to reflect improvements in the industry and scientific study. 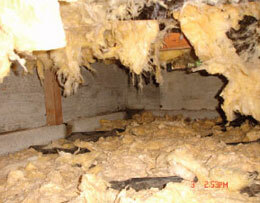 This is important because with newer methods of drying crawl spaces out, better results have been achieved. Basement Systems Edmonton would like to help you create a dry, healthier crawl space. If you'd like a free, on-site consultation, call or e-mail us today! We service Alberta, including Grand Centre, St. Paul, Kitscoty, Wainwright, Cold Lake, Bonnyville, Edson, Rosevear, Edgerton, Elk Point, Vermillion, Conklin and nearby areas.